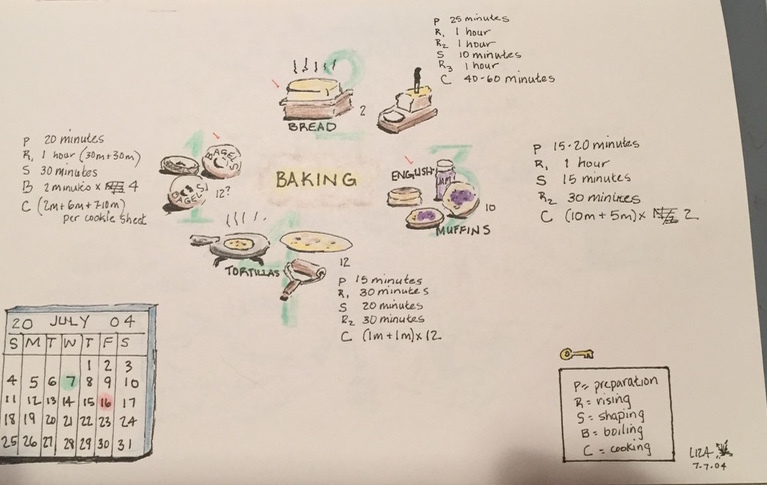 For many years, I searched for a way to organize my thinking in a visual way. In school, I took lots of notes in classes, but it always seemed like I couldn’t find information easily, or I couldn’t retain what I was learning without lots of repetition. In law school, and after, I would feel that I needed to copy out what I was learning in order to be able to slow myself down enough to help with understanding and retention. This was especially so when I was analyzing complex IRS (Internal Revenue Service) regulations. There was a visual and kinesthetic element to my learning. This way of learning was incredibly time-consuming, and often painful for my writing hand to accomplish. I wasn’t happy with doing this, and often felt that there must be a better way. Thanks to a seminar in a financial planning conference that my husband attended I learned about something that seemed to be just what I was looking for. 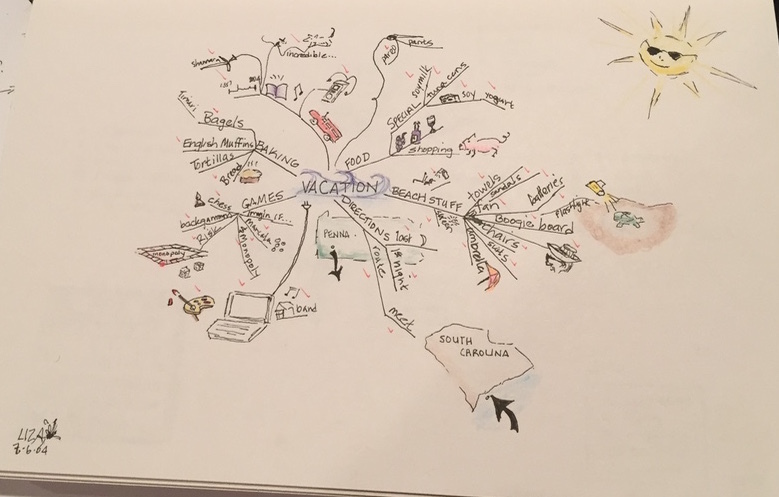 It’s called Mindmapping by some and was the creation of Tony Buzan. He wrote a book called “The Mind Map Book”. I bought a copy and sat and read it cover-to-cover in a couple of days. I devoured it. There was a considerable amount of brain science in it, but written in an accessible manner. What captivated me, was its visual foundation with images and color. (It also appealed to my latent artistic side). Simply put, it’s a structure that allows for the placement of words and images on a single sheet of paper arrayed around a central image. It’s structure complements the way our brains associate information. Did you ever play a game where you think of a word and say it to someone asking them to think of the first word that comes to their mind? Then they say their word to someone and repeat the process until everyone has had a turn. At the end, you compare the first word with the last to see what happened. It can be pretty funny to see how far away the last word is from the first. But it happened because of associations each person made with the word that came before them. Mind Mapping can work like that. My very first maps were created surrounding the planning of an upcoming vacation. I was thrilled to read about this technique, but felt like I wanted to learn from a person, rather than a book. I was fortunate enough to find two wonderful teachers in Jamie Nast and Vanda North. They taught a course that I attended and was completely hooked on this. I came home and immediately began using maps for everything, including my law practice. At the time, I was preparing estate plans for my clients. It always seemed such a complicated thing to explain how their Wills, Durable Healthcare and Financial Powers of Attorney worked in a way that I felt they would understand. Here was the tool to do that. I started by making a generic map and then added to it at the meetings when I would find out the things that they wanted. It shortened the time of m y meetings, which was a benefit both to my clients and myself. My clients told me they felt like they had something simple in their hands that they could refer to long after the meeting, and when they received the drafts of their documents which, as all legal documents seem to be, are wordy and nearly incomprehensible. Jamie Nast had been teaching this technique for quite some time, but had found that the rules of the map creation were sometimes restrictive and not always useful to people. So she morphed this technique into something she calls IdeaMapping. I had stayed in contact with her taking a teacher certification course both in the original Mindmapping and her IdeaMapping. My goal wasn’t so much to teach the technique to others, though I have, but to get a more in-depth understanding of it. 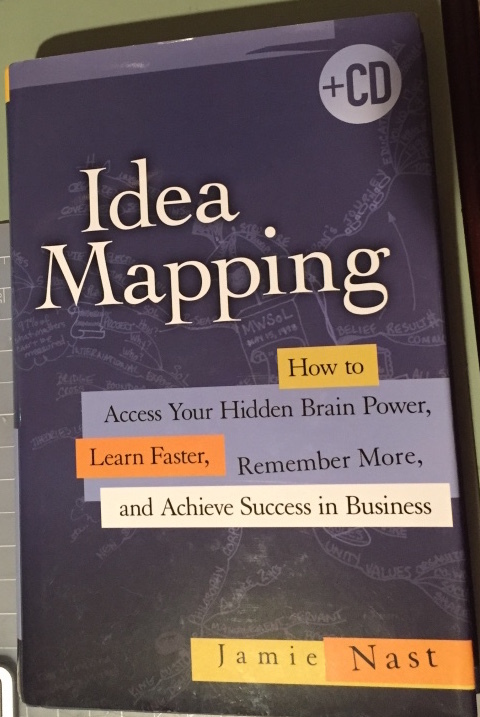 When she wrote her book about IdeaMapping, she asked me to contribute a map so I used one of the ones I was using in the law practice. In the next post, I’ll share with you how life-changing this technique has been for me, and how I have morphed it for my daily organization.